Post on my music, favorite bands, or your music. We camped out for tickets and got a great block of floors seats. Our seats were 20 rows back but a girl I had known had second row seats with her friend. They let me and my friend join them in the second row. I somehow managed to get both pieces for my ticket from the show. Back then they tore off one side of the stub. A friend of mine won passes for the pre-party bbq with KROQ and Thomas Dolby and let me join him. I was interviewed by MTV during the pre-party. I’ve only seen a brief clip of me on the Week In Rock but I heard that years later they used portions of my interview on 120 Minutes and/or Alternative Nation. You can watch the video from the week in rock on this YouTube Clip. The Depeche Mode section begins at 2:46 and I can be seen at 3:13. 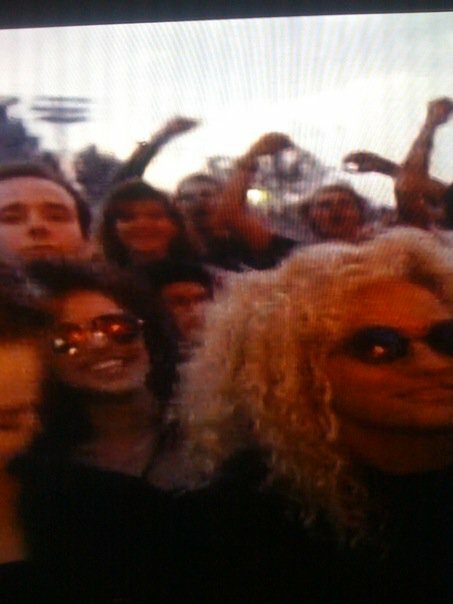 I also made it onto the 101 DVD. I can be seen between the end of Pimpf and the beginning of Behind the Wheel. Here is a screen capture of me raising my arm behind the kids from the movie. The concert itself was quite similar to the show I’d seen at the Forum 6 months previously. The Forum show was pretty remarkable and it was the first time I was up close on the floor. I bought myself and a friend 4th row tickets on the floor. I was two rows closer at the Rose Bowl but the stage was elevated so high it was quite a different experience. The setlist had only two changes from the show in December. Martin performed Pipeline in December but performed Somebody at the Rose Bowl. 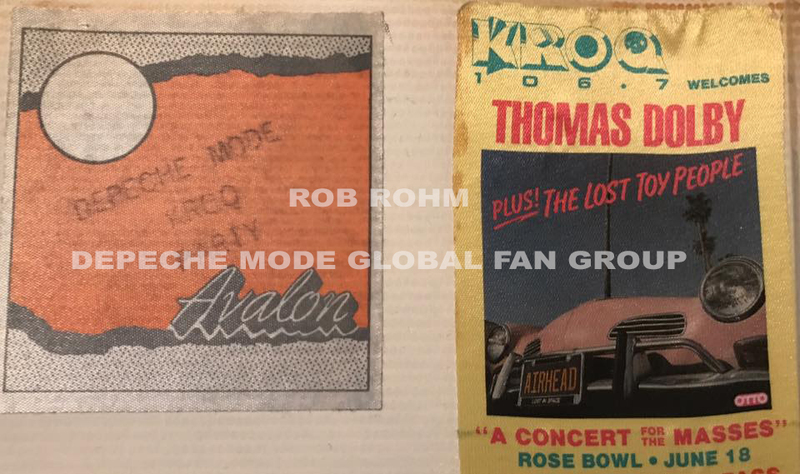 They also added one more track to the set list at the Rose Bowl, it was Just Can’t Get Enough. The program I got the day of the show I eventually had signed by all of the members of the band. 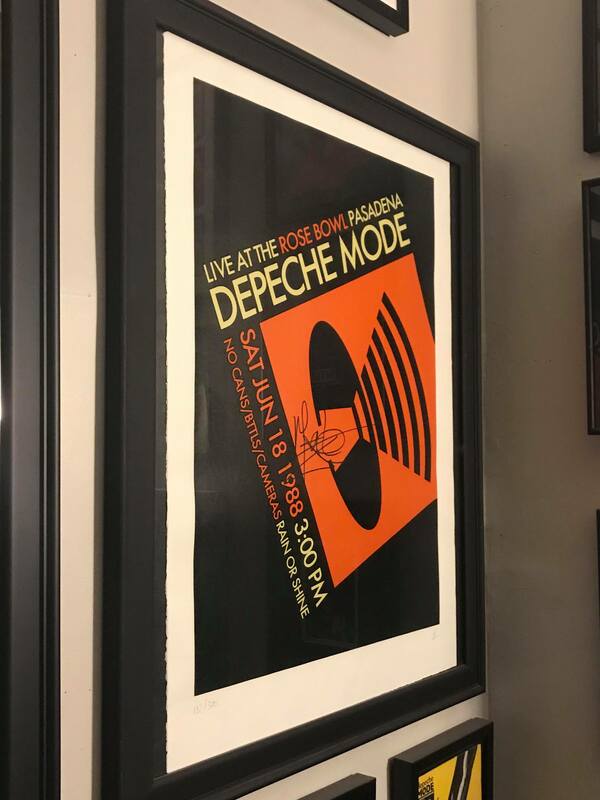 A lithograph that was limited and released on Depechemode.com. 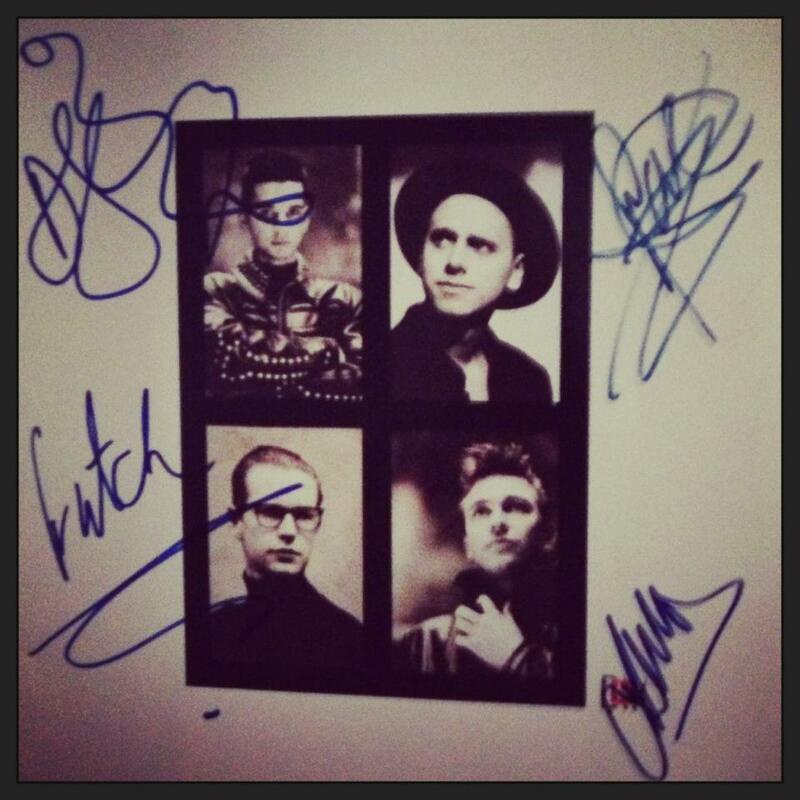 I had it signed by Martin Gore. I also have the original newspaper advertisement for the show. 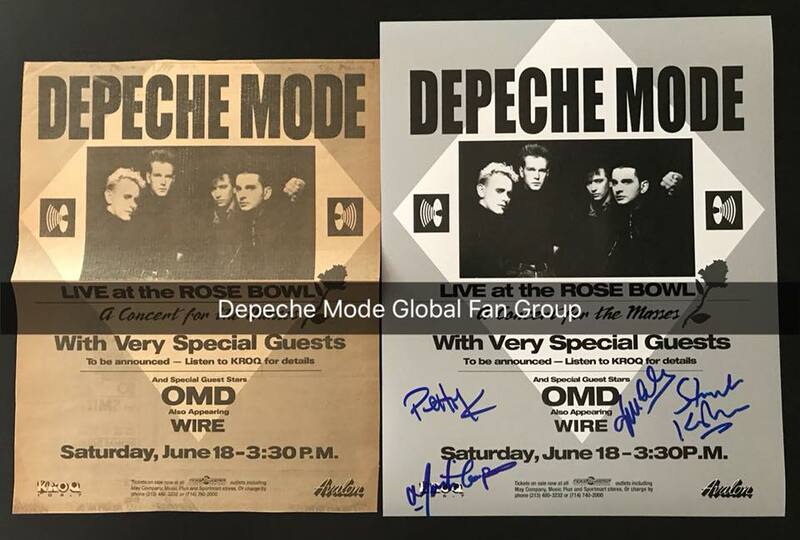 I digitally recreated the advert and had OMD sign it. I saw Coldplay last summer at Irvine Meadows and when they were ending the show the band thanked Los Angeles. I was pretty upset that they would say that. I found out that Irvine Meadows had been renamed Verizon Wireless Amphitheatre of Los Angeles. So I wrote to Coldplay via their Web site. I told them that it was an insult, just as thanking people in Manchester by saying “Thank you London” would be offensive. At their show last night, they said “Thank you California“. I guess bands actually read their fan’s feedback. GOOD JOB COLDPLAY! Posted on February 8, 2006 February 8, 2006 Categories MusicLeave a comment on Coldplay Thanks California! What a great show. So many things to talk about. Fiona Apple opened. Great show. I had sixth row on the floor but the seating configuration was altered and I had FRONT ROW on the floor. Between Fiona Apple and Coldplay I ran into a former schoolmate from Orange High. He didn’t recognize me! I am gaining too much weight. I told him I was the Depeche Mode guy and he remembered me. He says I look quite different. Anyway, it was interesting talking to him. 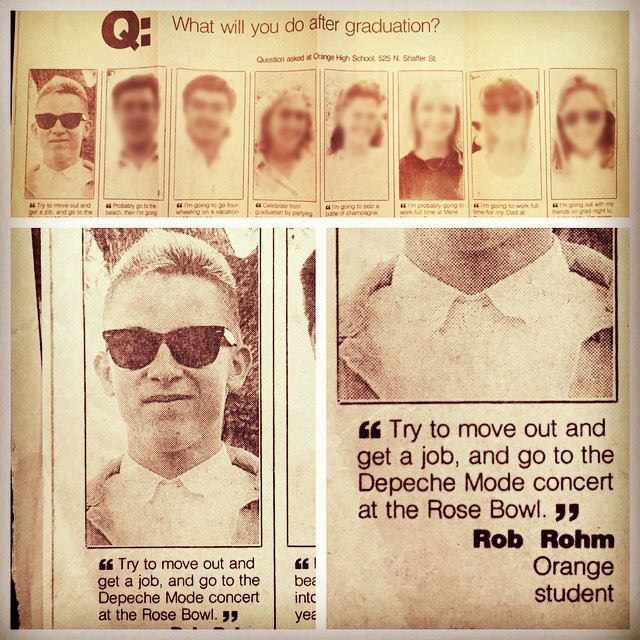 He used to be the drummer in the Offspring. His name is Ron Welty and he has a new band in the works www.steadyground.com. It was a good break and then the headliner came on. Coldplay put on a great show. They announced and pointed out Joaquin Phoenix was in attendance.